Turn your students into reading superheroes. 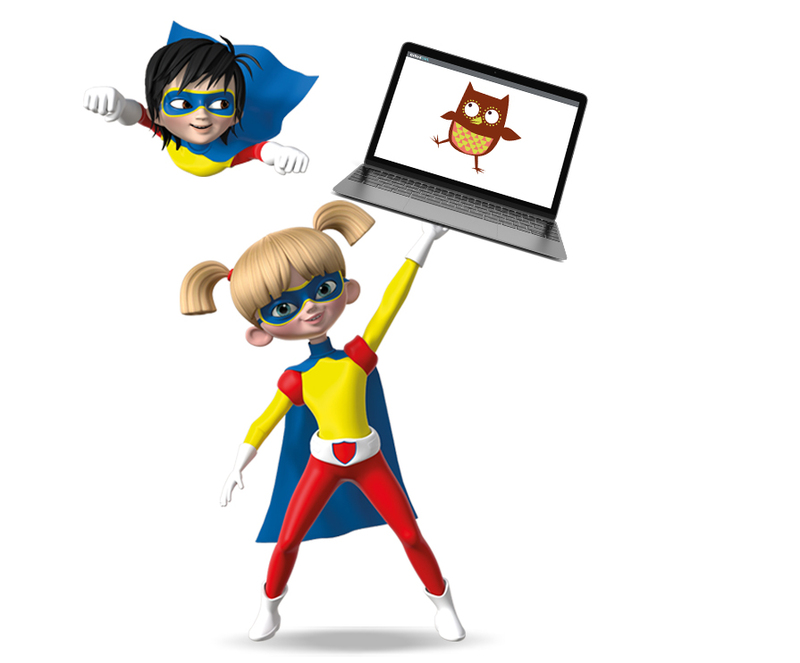 Project X Hero Academy is a new series designed to motivate young readers and turn them into reading superheroes. Hero Academy is composed of 78 fiction books that are fully decodable and matched to the Letters and Sounds phonics sequence. The fine phonic progression ensures that all children can access the series as they embed their whole-class phonic teaching. 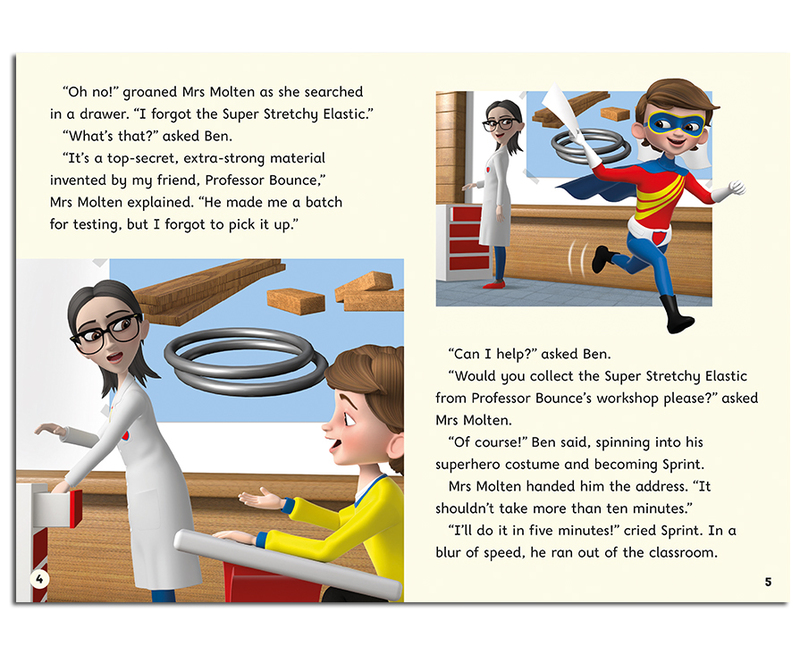 The student books are fully decodable and designed to motivate all students to become reading superheroes. This exciting series is finely levelled, features engaging superhero and villain characters and includes guided reading notes for every title. 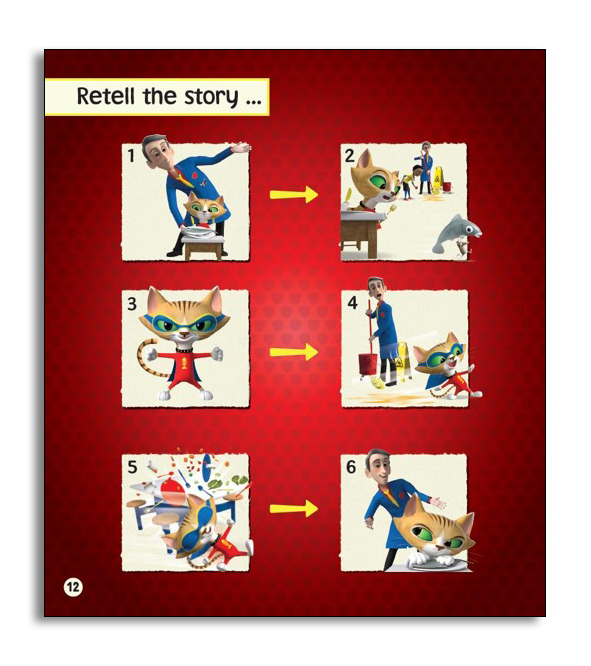 Each story can be used independently, one-to-one or in guided reading sessions. The two Companions that accompany the series provide a perfect stimulus for writing and help prompt class discussion. 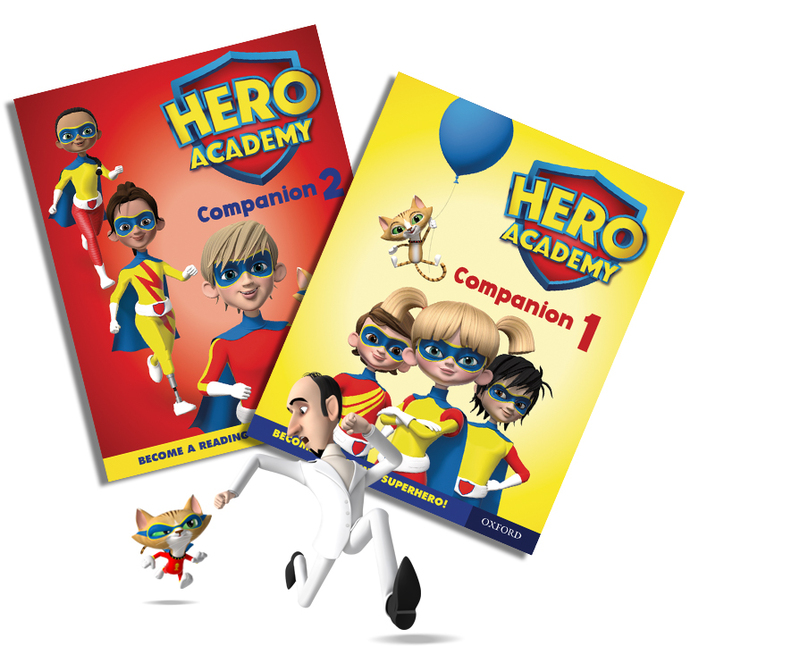 The Companion activities develop a picture of the Hero Academy world, including fun facts about the characters, comic strips, poems, jokes, design activities, mazes, counting and spotting activities. templates for Hero Academy name badges, superhero masks, superhero puppets, and bookmarks. 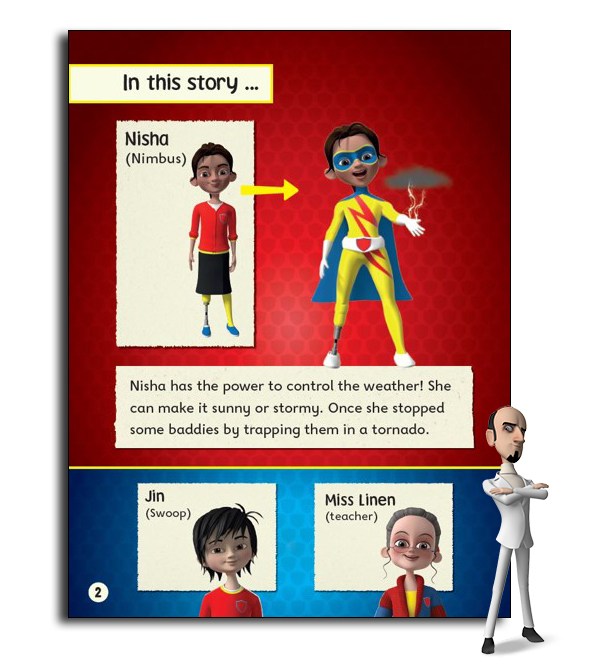 Hero profiles feature at the start of each story so readers can identify which characters will appear in the story and the special power they use against the villains. 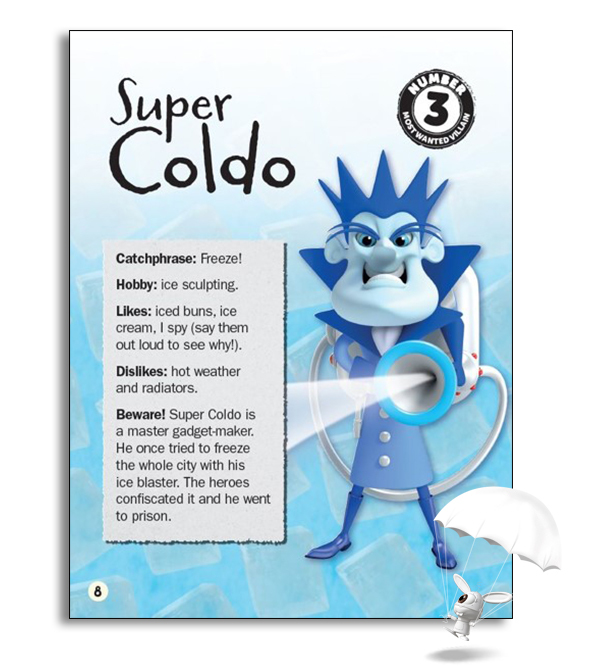 Villain profiles provide background information on the series villains including their appearance, catchphrase, hobby, likes, dislikes and a warning about their villainous powers. Retell pages help students develop comprehension skills such as determining importance, visualising, and monitoring comprehension. 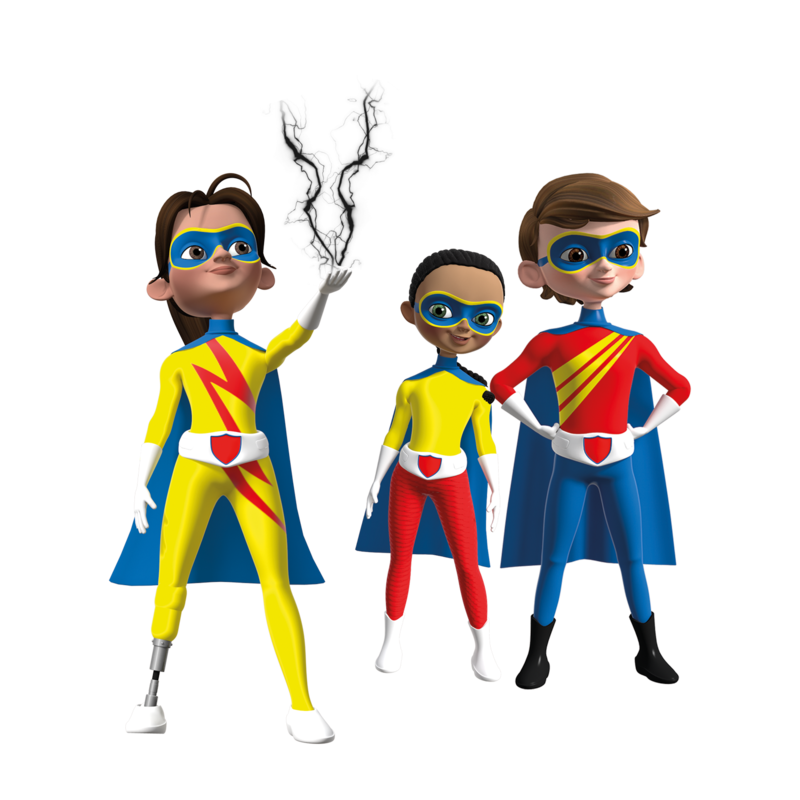 At Oxford, we use an expertly developed and well-established system for levelling our books, which has been used to develop many of our popular and well-loved series including Hero Academy. We’ve finely graded our books so you can accurately match children to the right book. With the help of expert authors our levelled books hook children of different ages into reading, capture their imaginations, and make them think. 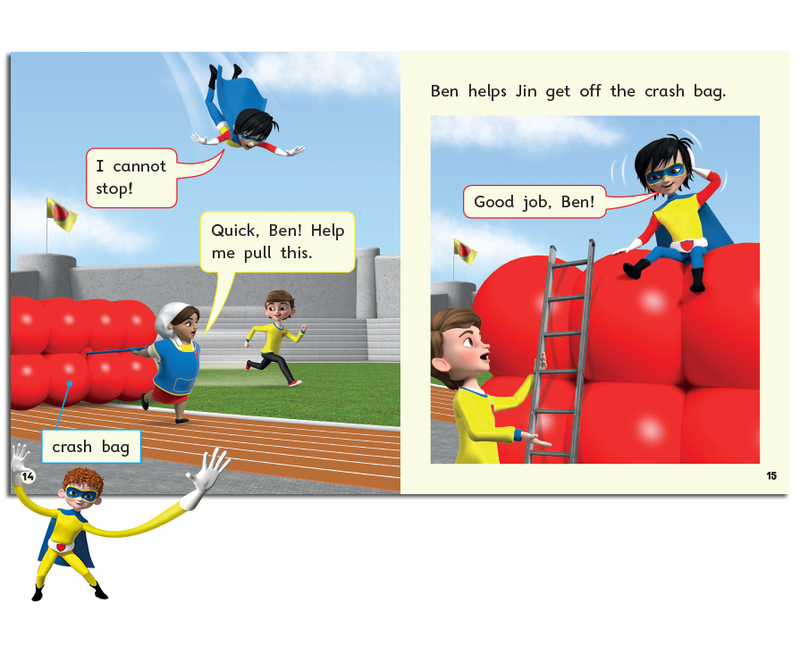 Hero Academy is fully decodable with a fine phonic progression in line with the Letters and Sounds phonics sequence. This supportive phonics framework ensures the series is accessible to all students. The free teaching resources on Oxford Owl include phonics charts listing grapheme—phoneme correspondences, high-frequency decodable words and common high-frequency exception words for each book. Support for assessment of the focus grapheme–phoneme correspondences is also provided. Simply fill in the form below and download the Evaluation Pack for more information on the series.